What could be better than exhibits that feature beautiful and iconic clothing? 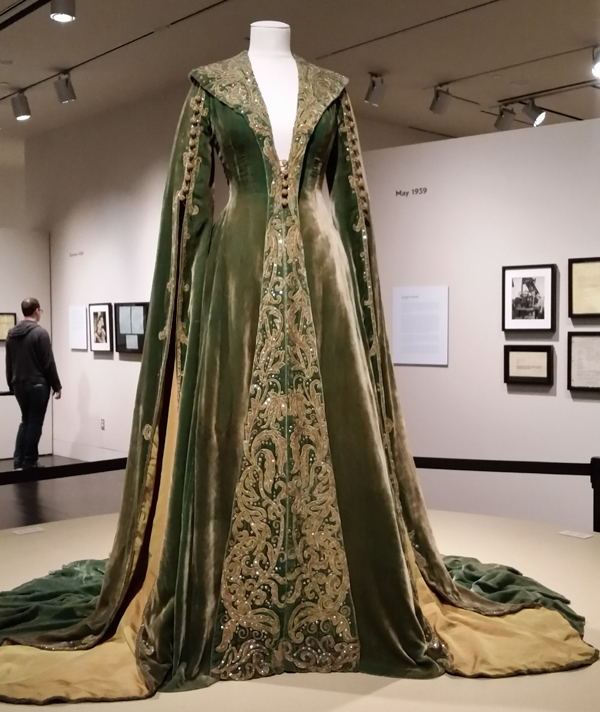 It is the 75 anniversary of “Gone With The Wind” and the Ransom Center on the campus of the University of Texas at Arlington has curated an exhibit called the Making of Gone With The Wind. If you can’t make the exhibit in person, I encourage you to check out the center’s website. The first stop on the GWTW tour was the Gone With The Wind Remembered Museum and Gift shop in Cleburne, TX. Vicky Lynn Rogers has created a not for profit museum to share her collection. It houses an extensive collection acquired over a 30 year period of GWTW memorabilia and collectibles. Highlights of the collection include original hats, props and costumes including Bonnie Blue Butler’s wool hat, coat and muff. 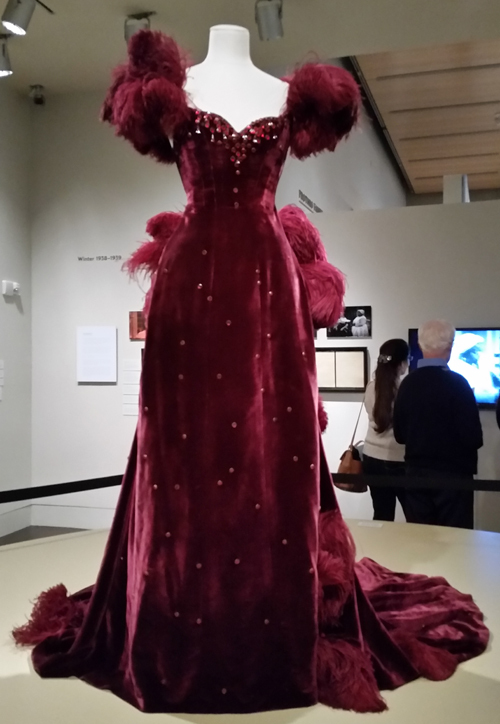 There are also several replicas of Scarlett’s dresses and collectible sewing patterns of the movie’s dresses as well. The Ransom Center (the exhibit is free!) is located on the UT campus, check out the website for hours, and parking information. First you check out one of only 49 known copies of the Gutenberg Bible and the world’s first photograph on permanent display at the center. Then on to the exhibit which focuses on the production, the protests, and the search for Scarlett. But you know I was there for the the costumes. I loved seeing all of the original art concept drawings of Walter Plunkett, see website bio for more. The art story boards and scenery art created with watercolors and gouache are beautiful. The curtain dress (forever linked in everyone’s mind with the Carol Burnett parody) has been meticulously conserved, but the dye in the fabric has faded. Did you know there is a bronzed chicken foot on the feathered hat? 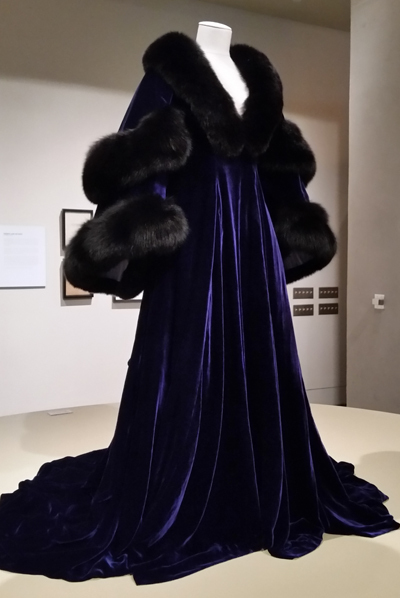 The velvet blue dressing gown with black fox fur and the wedding dress were both recreations as the originals while owned by the Ransom Center were too fragile for exhibit. 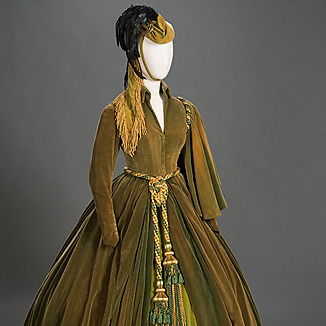 The collection also includes the green velvet “no more babies” dressing gown and the ruby red and feather ball gown. Both collections save history for all of us to view and enjoy. Don’t miss out on these inspiring works of art. 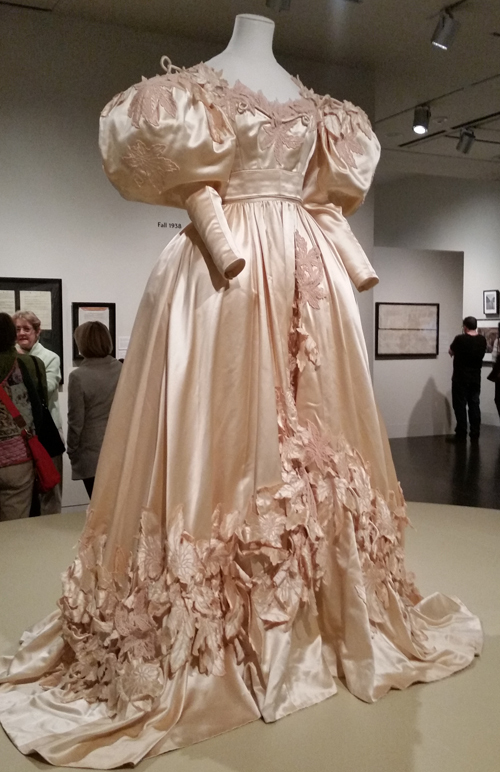 Coming in December, adventures with Markita continues with a review of the The Mary Baskett Collection of Japanese Fashion exhibit at the Crow Museum in Dallas.